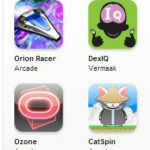 We are very happy to notice that CatSpin is getting a bigger presence on the App Store! 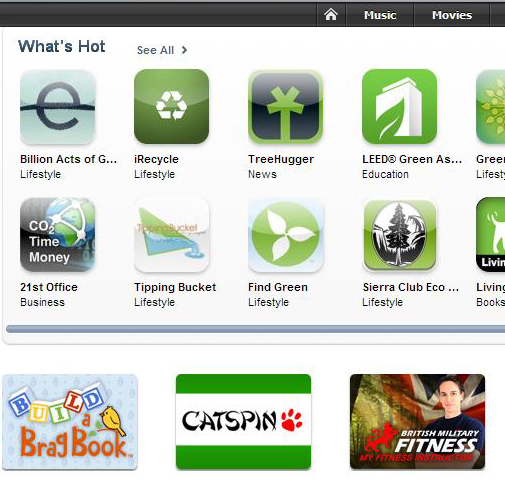 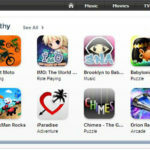 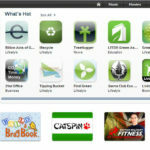 CatSpin has hit the “New and Noteworthy” and “What’s Hot” lists in several countries! 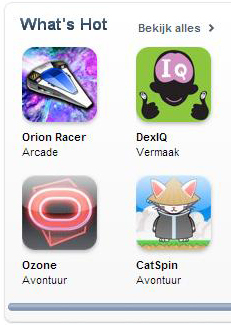 On top of that, Apple decided to place a banner for CatSpin on the FIRST page of the U.S. App Store and several other European countries! 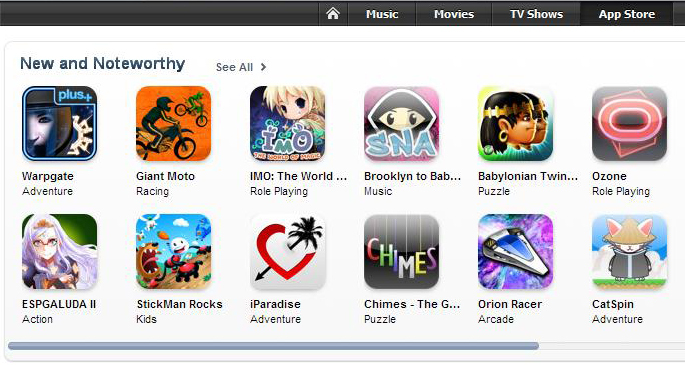 This is just amazing!